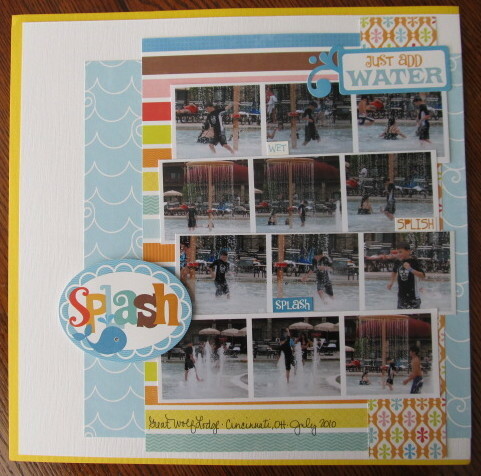 When I last straightened up my scrap area, I realized I had several "kit bags" with photos inside waiting to be scrapped. I used to do that often - toss pics inside kit bags that I wanted to pair them with. But, then I get busy and forget about them! Until last week when I finally decided to start using them. Now. I had Echo Park's "Splash" line from last summer (or earlier???) with pics from our Great Wolf Lodge trip in '10. 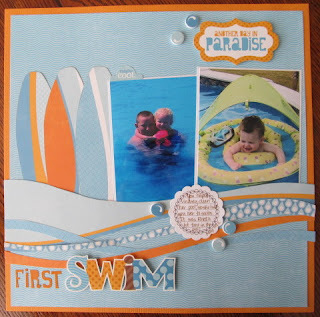 I created this layout with pics of Rhett's first swim. I was working and my sister was nice enough to invite the boys over to swim. 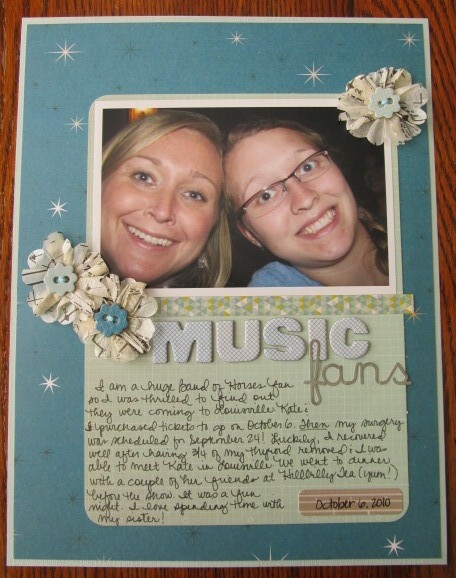 I lifted a layout by Kimber McGray in CK's Simple Scrapbooks idea book. I also pulled out my bag of the Countryside line by Studio Calico. 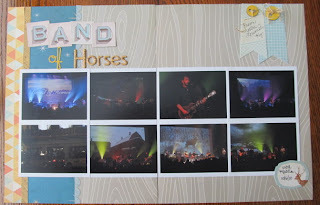 I remember being so excited about this line when I purchased in (in March '11!). I guess I was "saving" it??? 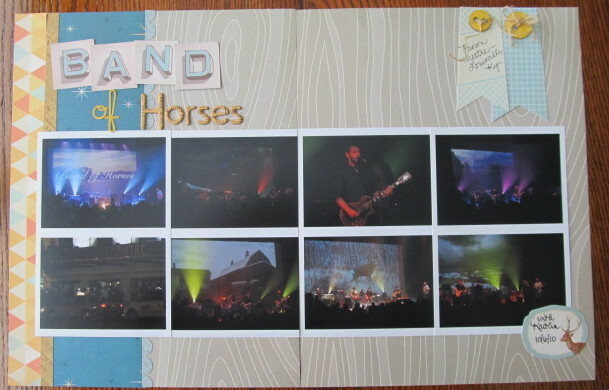 Oh well, it worked great with the Band of Horses concert photos I had tossed in the bag. 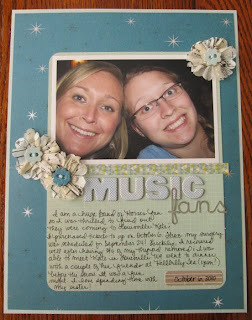 I miss my sister, Kaitlin, but am glad to have these pics scrapped.